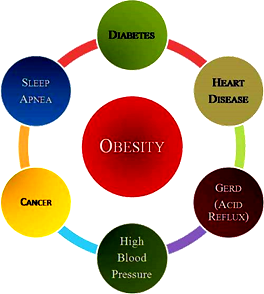 On October 21, 2013, BioSculpture Technology formally acknowledged its commitment of resources to the obesity problem by establishing the Obesity Control Research and Development Division. This Division will consolidate and expand current efforts to develop improved methods and devices for the treatment of obesity, metabolic syndrome, and type 2 Diabetes mellitus. You may follow activities of the Obesity Control Division and our efforts to develop innovative treatments of obesity, metabolic syndrome and type 2 diabetes mellitus at www.evl.technology. Already embarked on the goal of developing alternative bariatric treatments of obesity, metabolic syndrome and type II Diabetes mellitus, BioSculpture Technology has had three U.S. Patents allowed and has numerous U.S. and foreign Applications pending in this area. You can follow our progress. Rocin Laboratories is the biomedical Research and Development company founded twenty years ago by Robert L. Cucin, M.D. to develop new technologies and medicines. It now maintains a world-wide patent portfolio. It includes a Skin Care Division with a complete line of popular, vitamin-enriched, hypo-allergenic, and specially-formulated maintenance and treatment dermatologicals and Rocin Press established for the dissemination of medical information to the public. The Rocin Media Division produced Keeping Face and Figure, a weekly television show on current topics in plastic surgery and healthy living. The show ran for five years on Time Warner Cable and featured actual patients having computer imaging of perspective plastic surgical interventions. The same patients were brought back after surgery to describe their experiences. To coordinate the licensing and marketing of Lipotome™ Systems as they continue to evolve, the Surgeon's Tools Division was especially created. Lipotome™ Systems are precision surgical instruments based upon one or more claims of any of the patents within the liposuction art patent portfolio of Robert L. Cucin, M.D. or his Research and Development company, Rocin Laboratories, Inc. They achieve substantial advances over current technology. Struck by the strenuous nature of liposuction from the surgeon's perspective and appalled by the crudeness and roughness of the procedure from the patient's perspective, the inventor sought to make the procedure easier, more precise and less traumatic. The innovations and refinements that resulted from his dissatisfaction with current technology not only increase control but decrease surgeon's effort, operating time, and patient recovery time. Products based upon these patents have been introduced into the market as Power Liposuction or Power Assisted Liposuction (PAL) and received with acclaim. A reusable unit powered by a small, hand-held low voltage electrical motor is being distributed by Nu-Med as the Power Cannula™ and consists of a permanent, steam-autoclaveable low frequency reciprocating assembly. Custom cannulas are available in a wide variety of sizes, lengths and configuration. You can read some comments about the advantages of this device or view a Barbara Walters interview of one of the physicians who advocates the superiority of powered liposuction. Here is a presentation at the American Society for Dermatologic Surgery elaborating on the increased safety, convenience, and precision of the device. 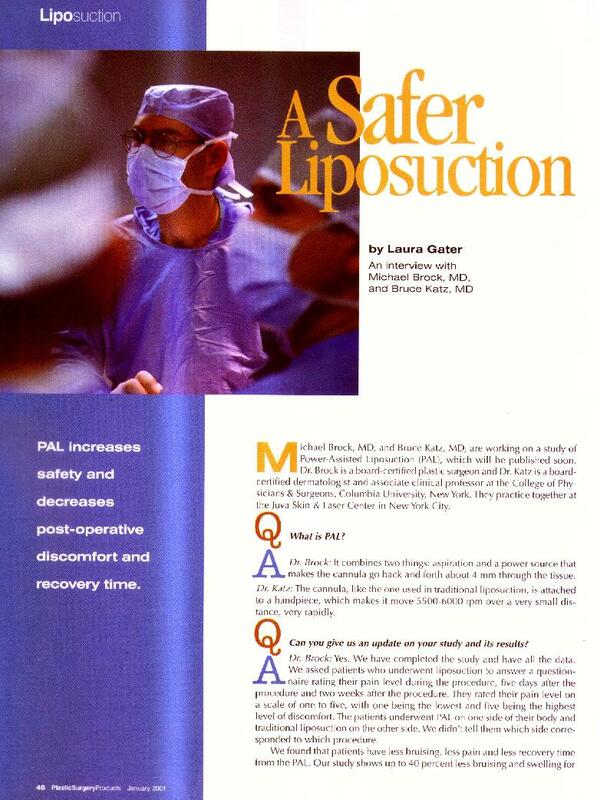 NBC Network News highlighted the advantages of powered liposuction in a recent segment by Dr. Max Gomez which you can view or read. 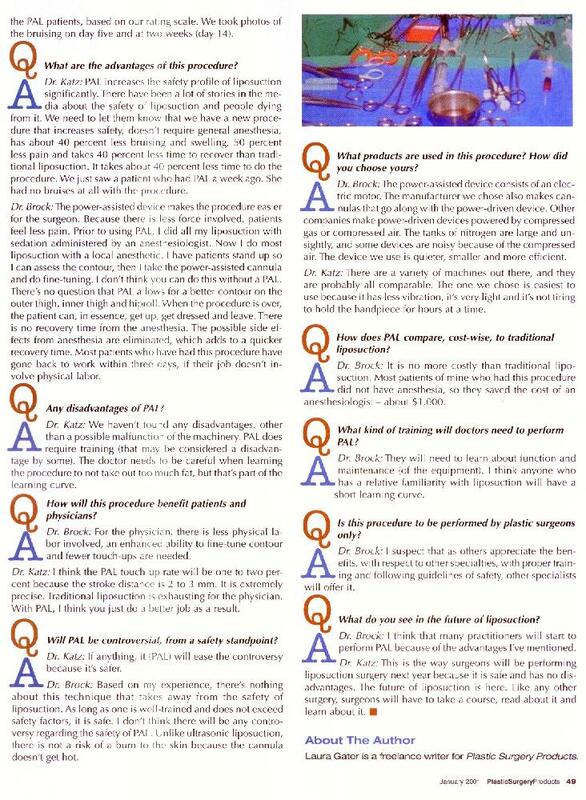 You may read an interview of Michael Brock, M.D. and Bruce Katz, M.D., two physicians who are impressed with the advantages of the Nu-med device. 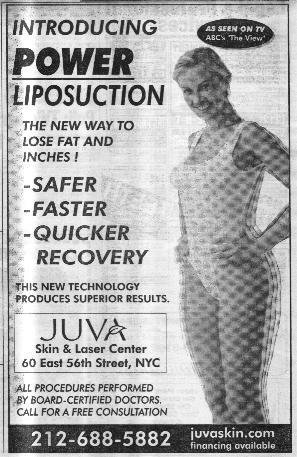 This practice advertisement which recently appeared in the New York Post is typical of those many surgical groups have placed as they have found the new technology to offer significant surgical advantages. 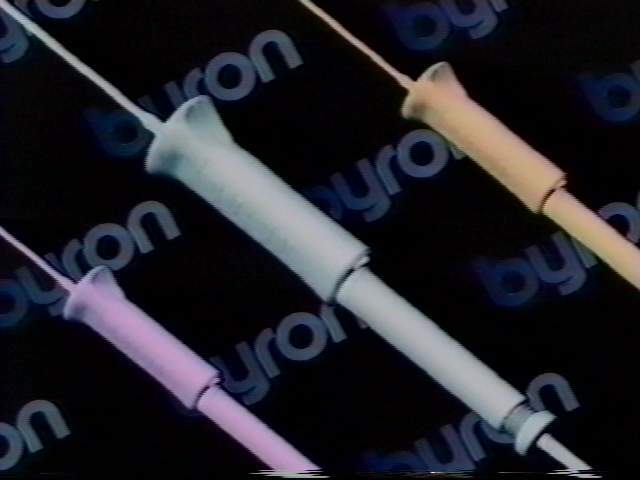 A disposable gas-powered assembly, the ARC™ Systems Reciprocating Cannula, is manufactured by Byron Medical and ingeniously driven by the vacuum system that powers its Psi-Tec™ Systems Aspiration Platform with no need for tanked gas or electricity. This inexpensive system is delivered in sterile packages. Byron Medical was acquired by Mentor which was in turn acquired by Ethicon.